Stringendo was originally formed as a chamber orchestra at the local music school in Sankt Augustin in 2008, with the intention of introducing young musicians to historical performance practice on modern instruments. Eventually in the summer of 2016 the association “Stringendo Sankt Augustin e.V.” was founded. Stringendo took part every year in the competition “Musizierende Jugend im Rhein-Sieg-Kreis” (music making youth in the Rhein Sieg area) from 2009 up until 2016, repeatedly winning first prize. 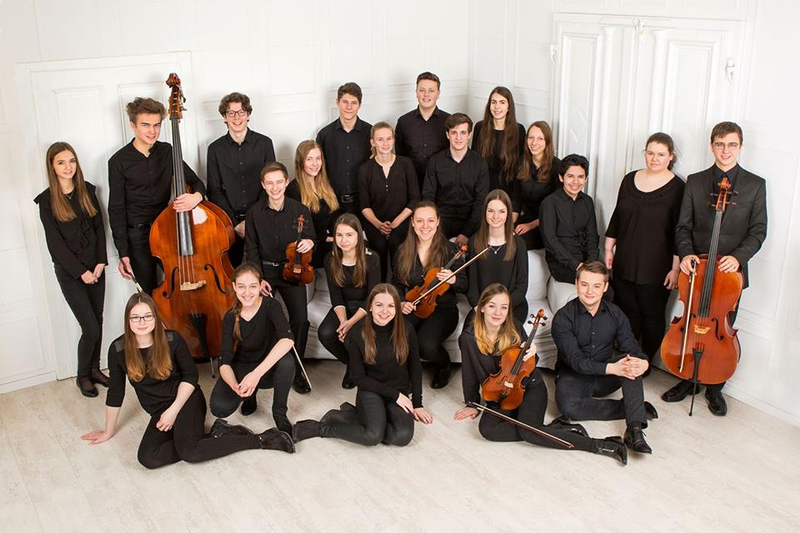 In 2011 Stringendo participated in the statewide orchestra competition in Paderborn for the first time and received the title of “having taken part with good success”. In October 2015 the orchestra attained a title of “having taken part with great success” in the statewide orchestra competition in Duisburg and was forwarded to the nationwide competition (May 2016 in Ulm), where it achieved a title of “having taken part with very good success”. In its annual concerts the orchestra has enhanced and improved its performance, taking on a demanding repertoire. Nowadays Stringendo regularly performs church music, including the Messiah by G.F. Händel, the Christmas Oratorio by J.S. Bach and the Elias by F. Mendelssohn-Bartholdi, all of which were performed together with the Rhein-Sieg chamber choir under the direction of Georg Bours. In 2012 and 2014 Stringendo travelled to Sankt Augustin’s twin city Mewasseret Zion, a suburb of Jerusalem, and gave a joint concert with the youth choir Kolot Mewasseret. Following that, the teenagers decided to embark on a trip around Israel and performed a few planned and impromptu concerts. The orchestra currently consists of 18 teenagers from the age of 12 to 20 and doesn’t have a conductor, but is instead led by 20-year-old concertmaster Alexander Muthmann. The program is rehearsed with former head of strings at the music school in Sankt Augustin and violin and viola teacher Christiane Kraus.